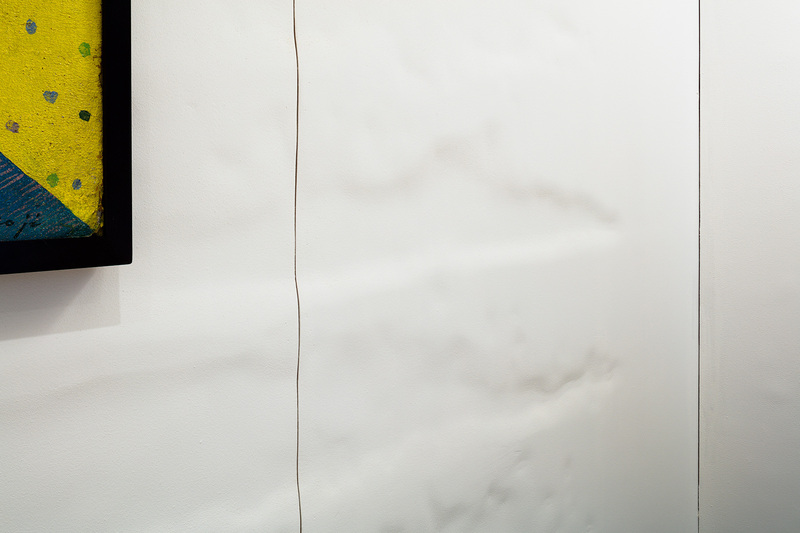 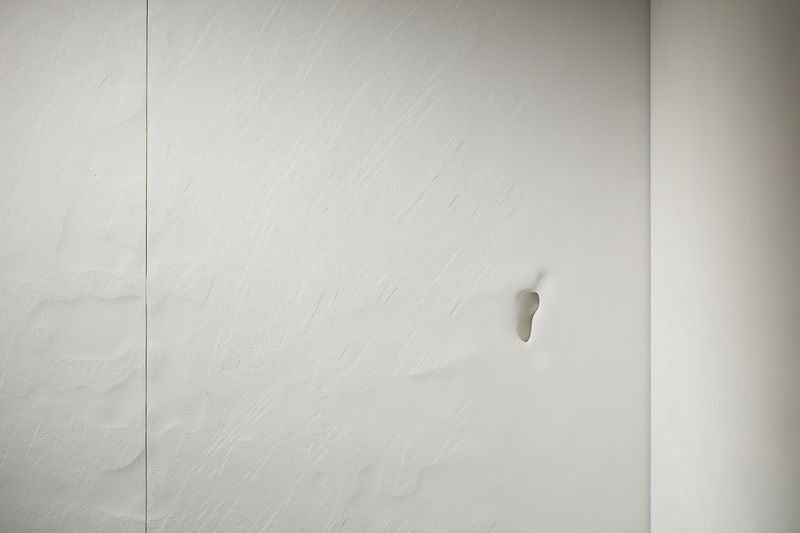 We thought “White Cave”, a space accepting various external influence and had unevenness and texture created by artists’ unique stories, would be what a contemporary gallery should be in next generation, rather than an abstract and flat “While Cube” which was recognized as a feature of modern gallery. 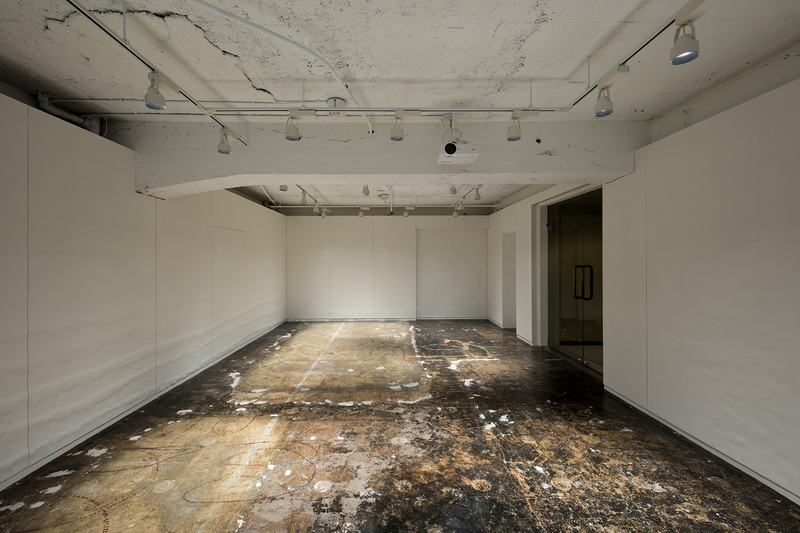 This is Western-style painter Koji Kinutani’s personal galleries and a research institute for archives. 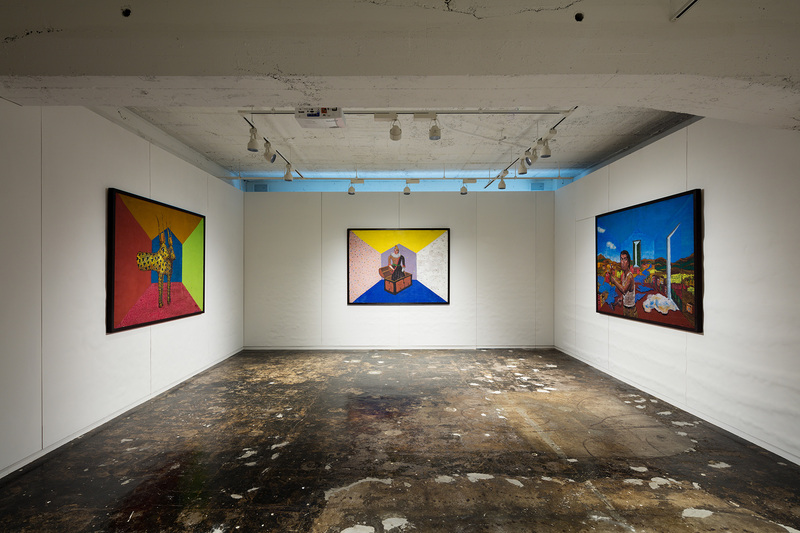 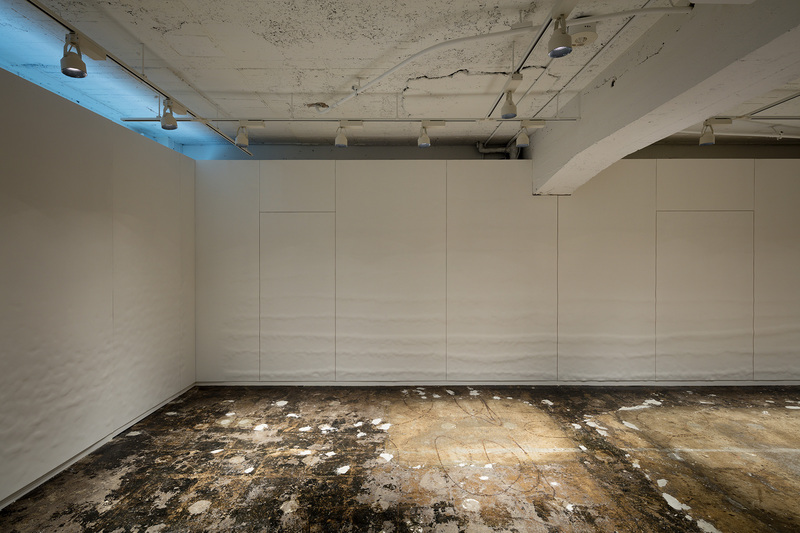 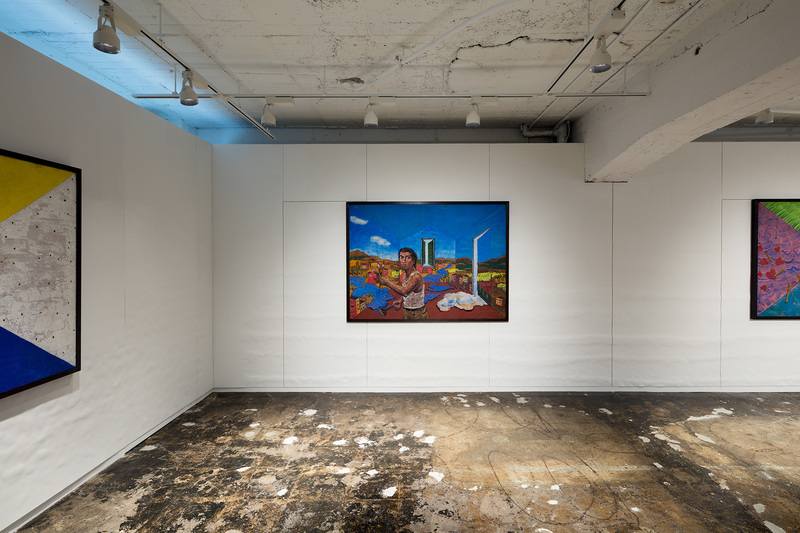 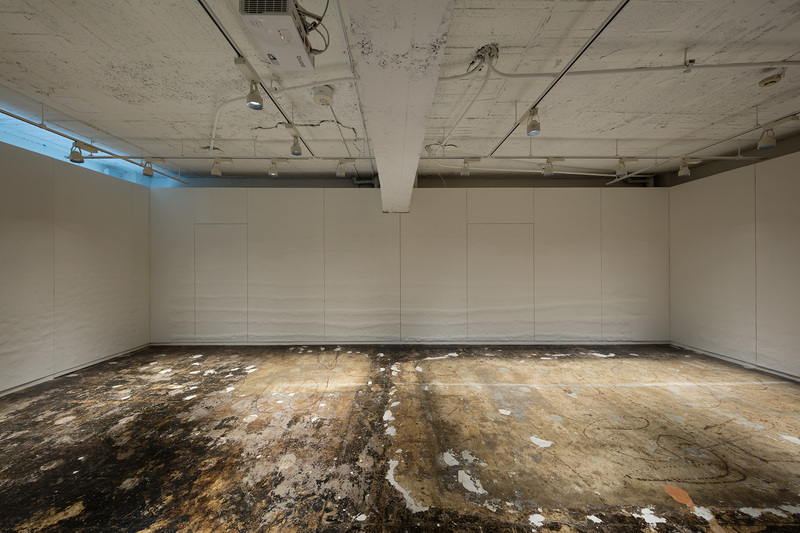 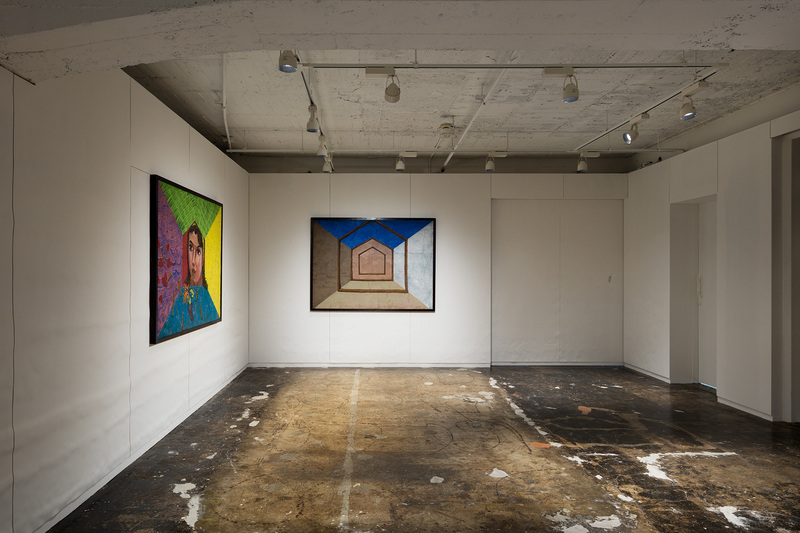 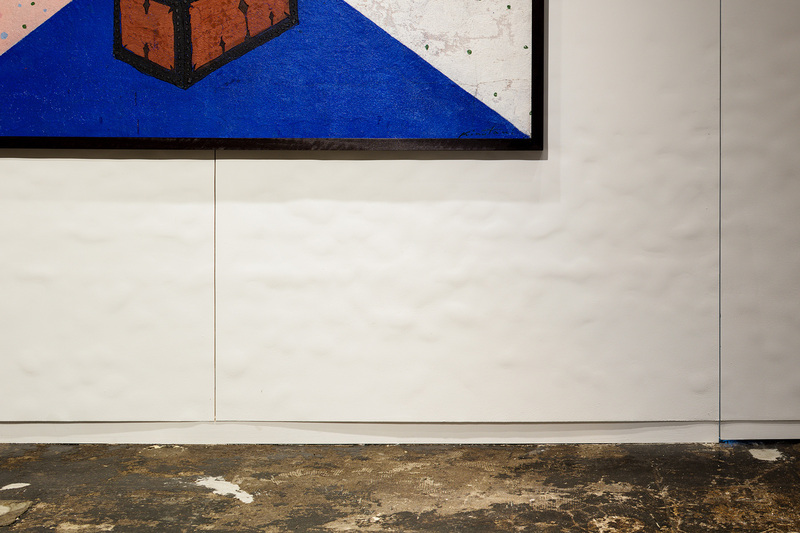 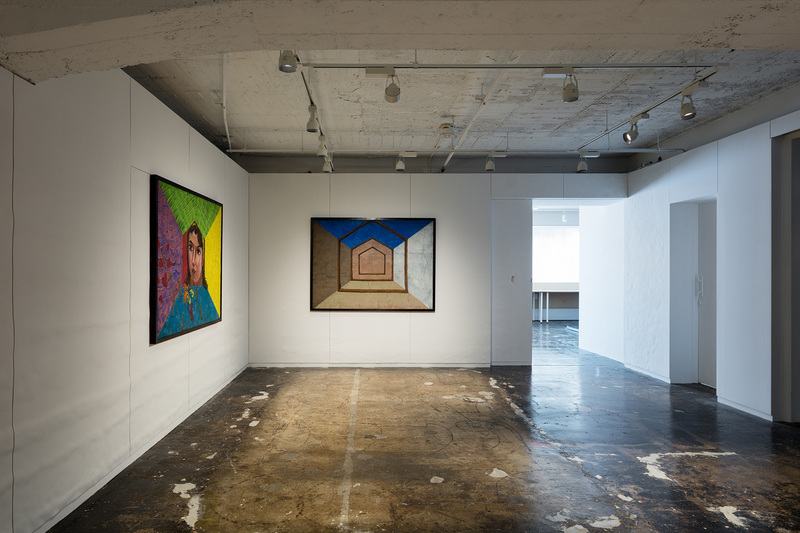 By looking for a design context of the space within Mr. Kinutani’s characteristic Fresco painting and his own artistic feature of remarkable vital intensive free line, and mud wall scenery in Nara prefecture, we sought for a gallery space not only making his works appear more vivid and lively, but also the space itself achieving unique quality. 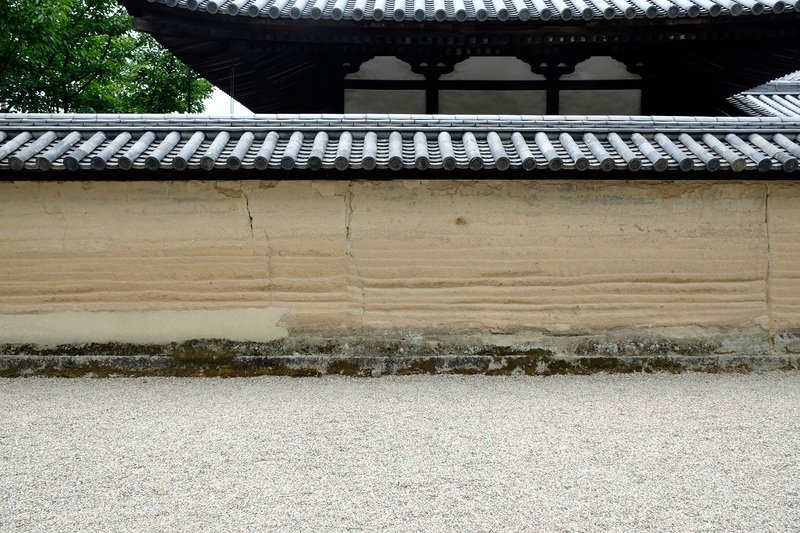 We took samples of various mud walls in Nara as digital data and assembled their uneven patterns to construct walls. 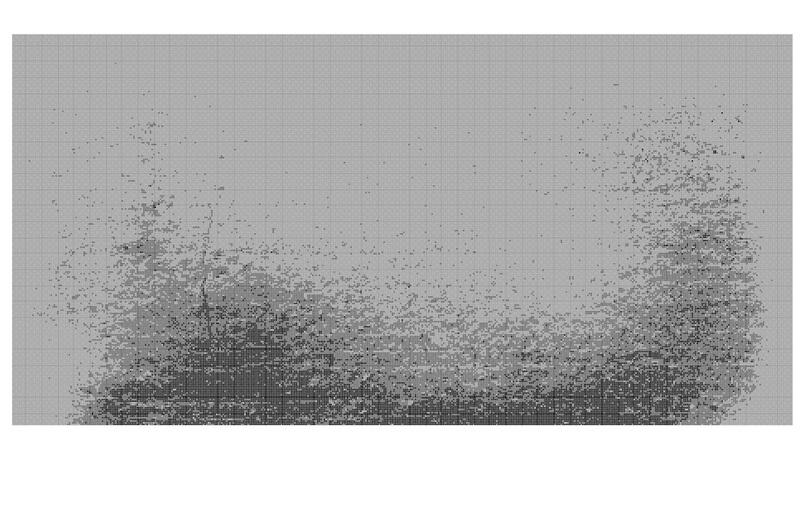 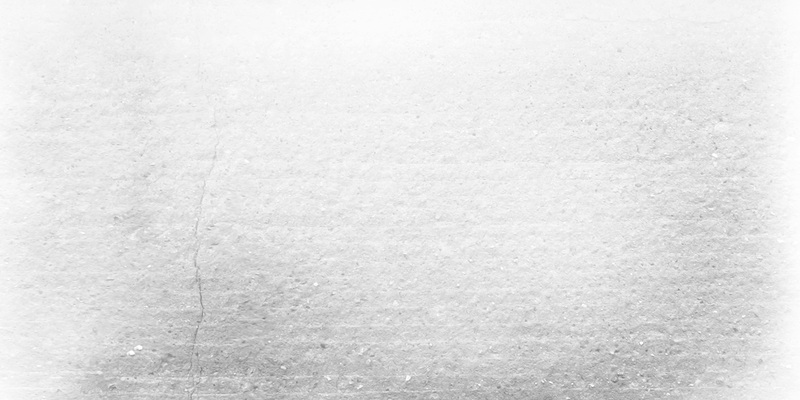 We kept the data as gray scale image and painted the wall white like paintings in computer. 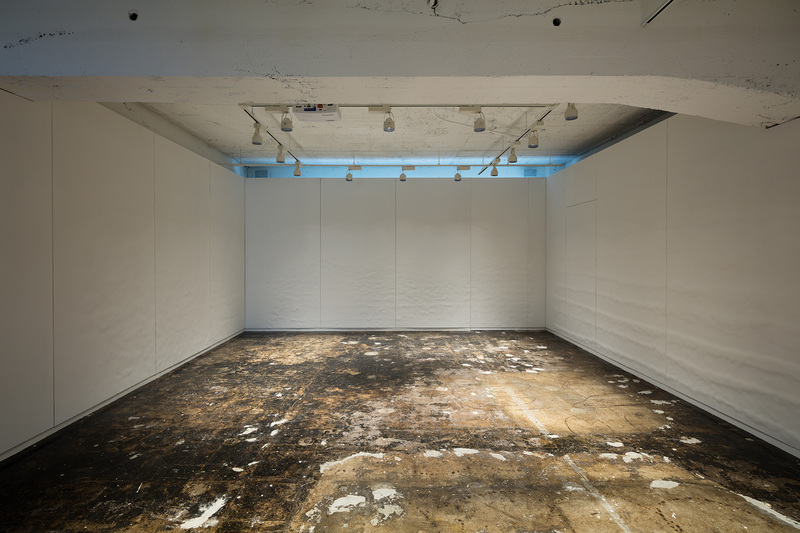 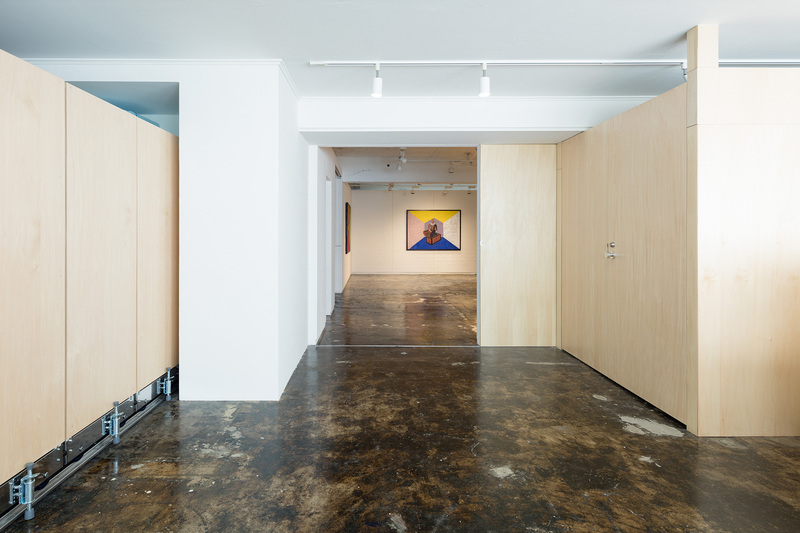 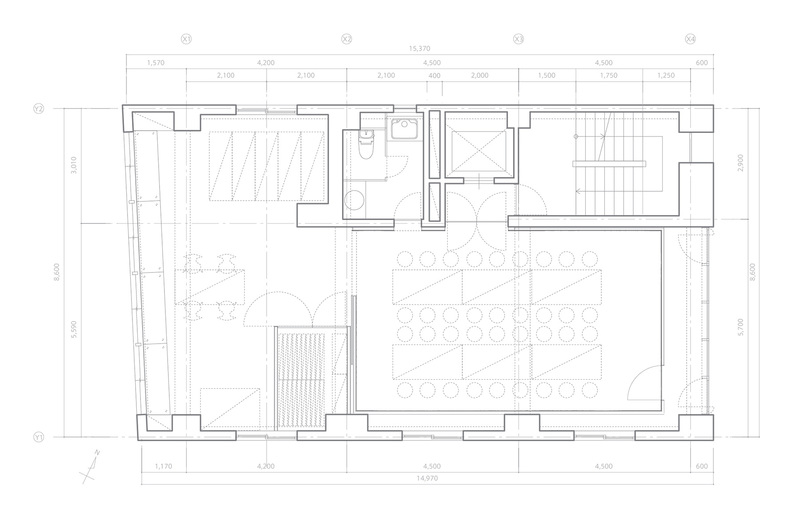 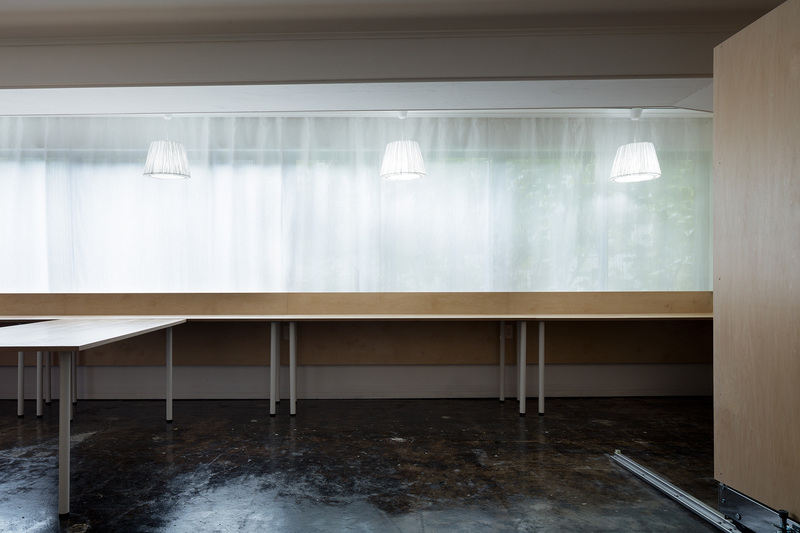 We designed a smooth surface area according to the necessary functions for the gallery. 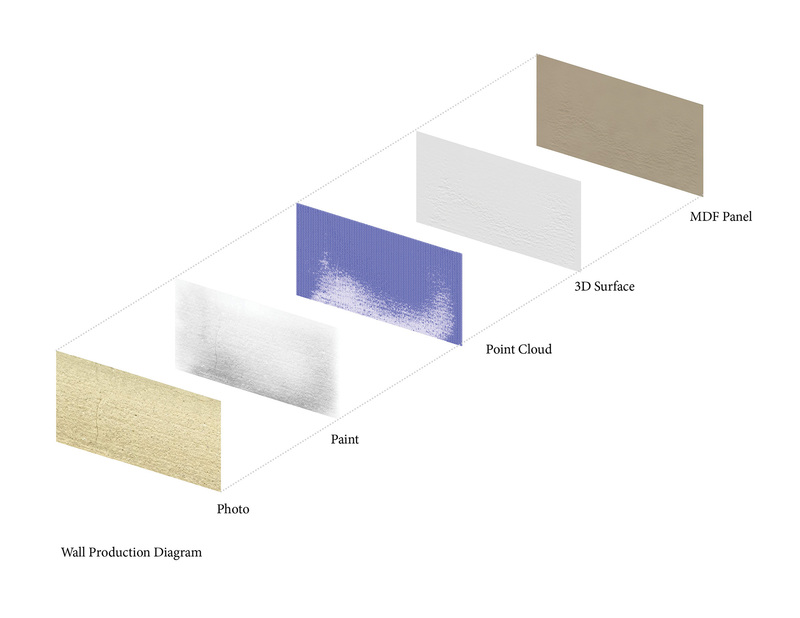 Unevenness was controlled by the point cloud converted from the gradation of shades of the data image, and a three-dimensional surface model was generated by a program. 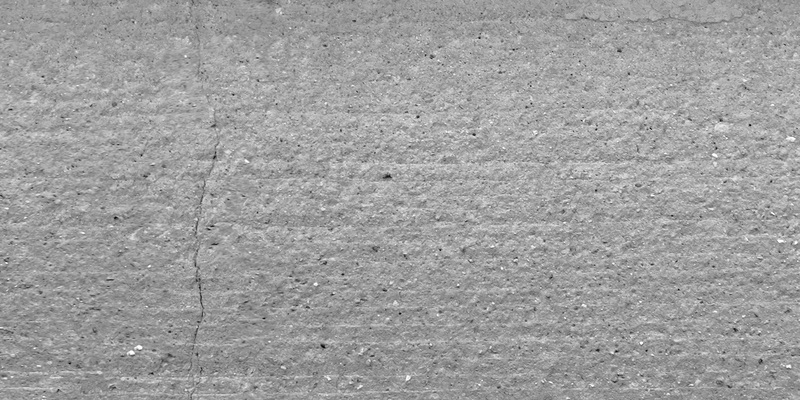 This process enabled to control the subtle and complex surface conditions in 0.01mm precision, which was impossible by conventional design method of drawing lines in 1mm precision. 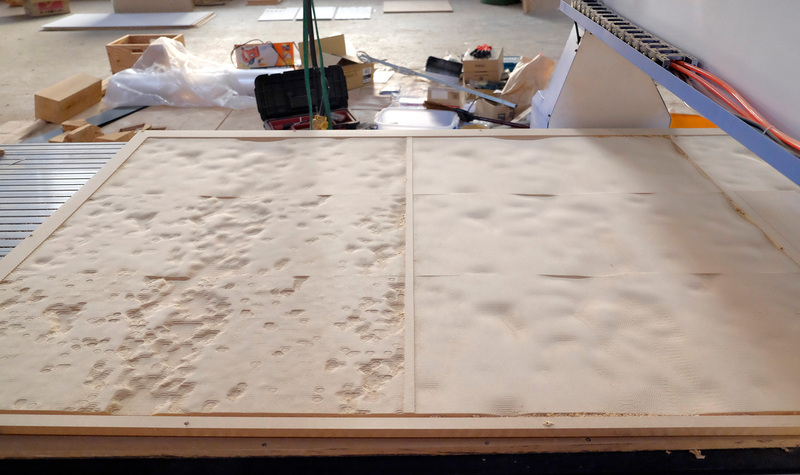 Three-dimensional processing of the data was carried out on the MDF board by the CNC router. 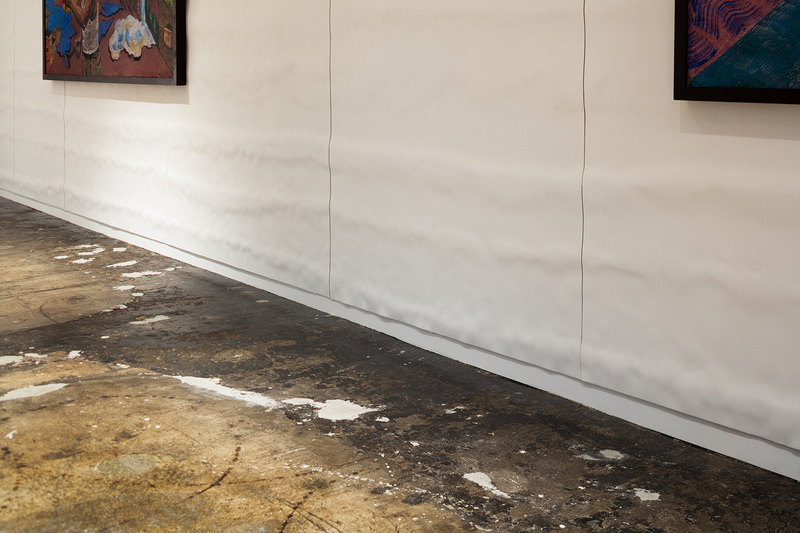 We tried to create organic texture by applying complex treatments to industrial MDF board in uniform quality. 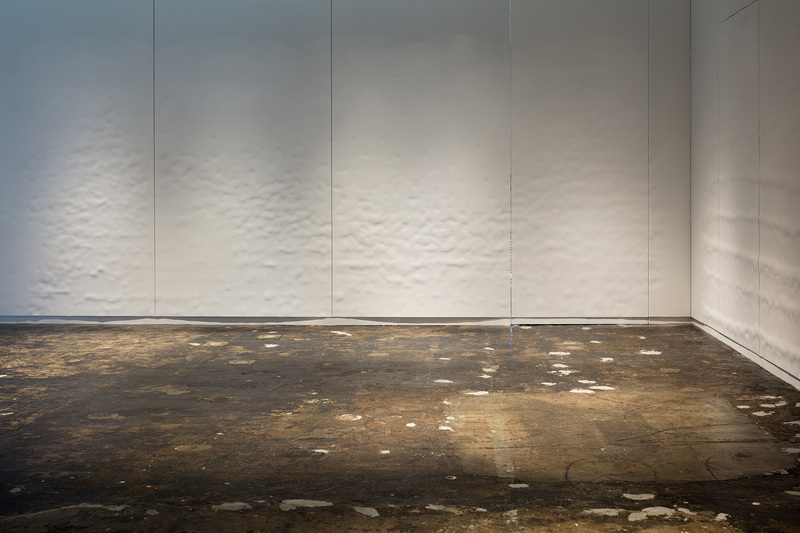 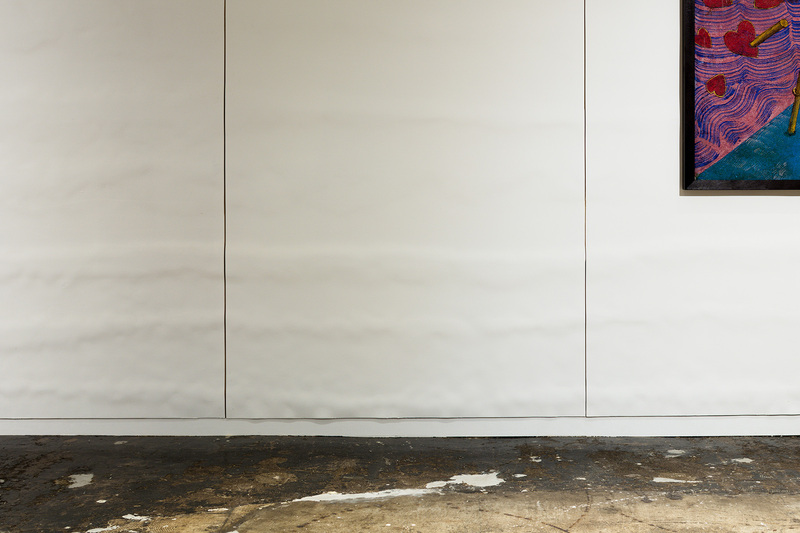 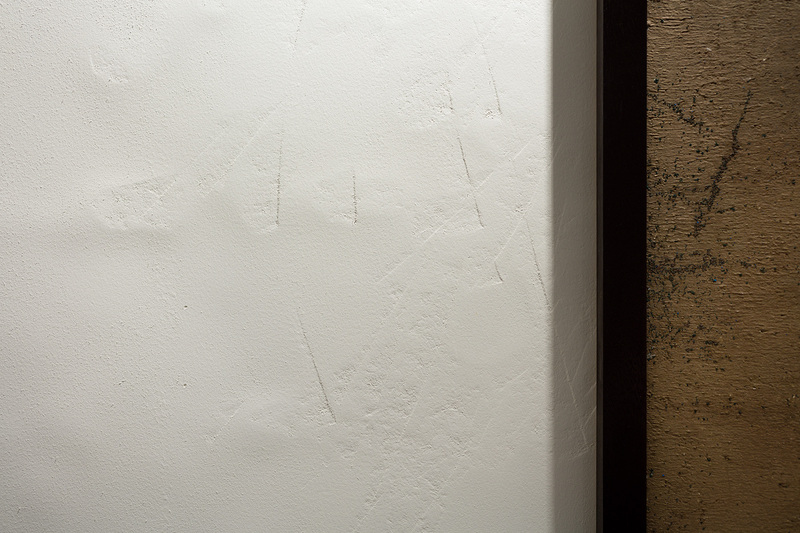 The client and we architects participated in a production process to shave one of the walls with plane on site ; therefore dented part remained and the convex part was scraped like a crater, and plaster work-like scratch marks were left as more complex patterns. 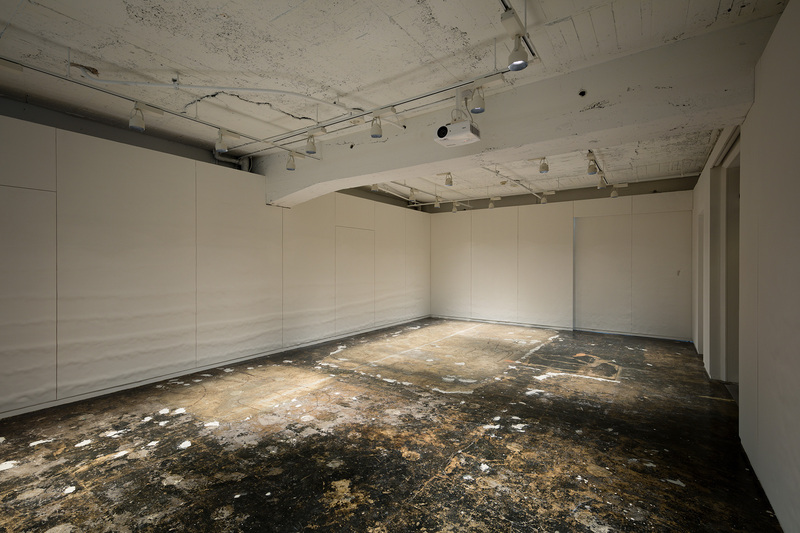 We hoped that the gallery will be more than just a self-build space, as we architects get involved in the complex production of building and client and others participate in the construction process―then in the future, this gallery will be repeatedly repaired, will change as the time passes, and will live on as a gallery space.